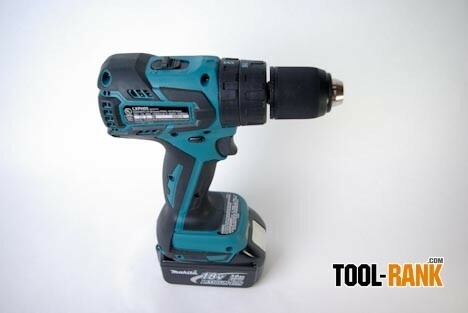 Brushless motors are the latest innovation to hit cordless power tools. 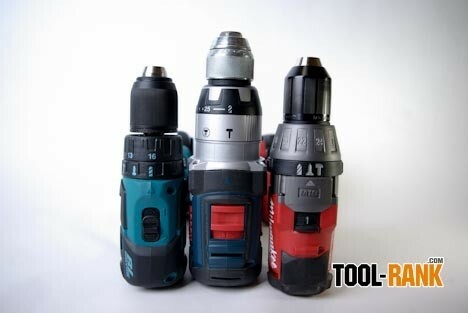 In fact it is so new that there are few cordless tools that take advantage of the technology. 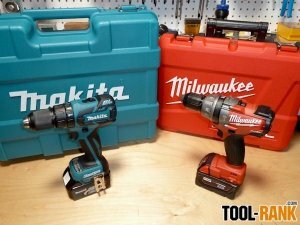 In this article I am going to review two brushless drills that are available now, the 2604-22 Milwaukee Brushless Hammer Drill and the LXPH05 Makita Brushless Hammer Drill. 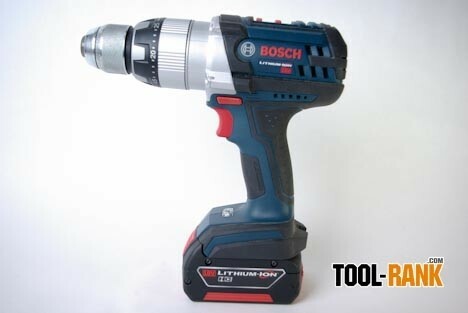 Just for a stat comparison, I also threw in last years HDH181 Bosch Hammer Drill which is not brushless. 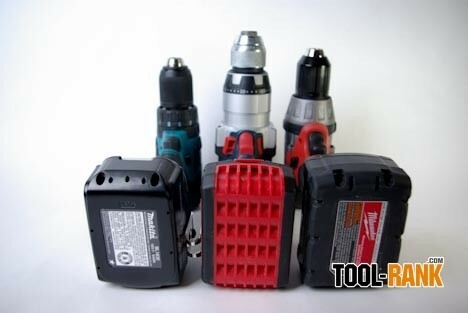 There are a few advantages in going with brushless tools, including, longer tool life and longer battery life, additionally, the tools can also be made much smaller. When you compare even last years smaller drills with this years brushless drills, there is a noticeable difference. So let's get down to how these three drills stack up in a head to head battle. In my test I put the three drills into a drilling shootout. I wanted to see which tool could drill the most holes and how long it took on average to drill each hole. The test holes were done using a 1-inch Milwaukee auger drill bit drilling into 2x Douglass Fur. The Milwaukee auger bit was a good choice because it is self feeding and requires no additional downward pressure, thus eliminating variances in user contributed downward force. I also tested the tools by drilling only 12 holes at a time before rotating to the next tool. I did this instead of drilling all the holes at once to better simulate real job site use. All three tools were tested with 3.0ah batteries for each brand. You can clearly see that the Milwaukee 2604-22 took this round with an average time of 4 second per hole. 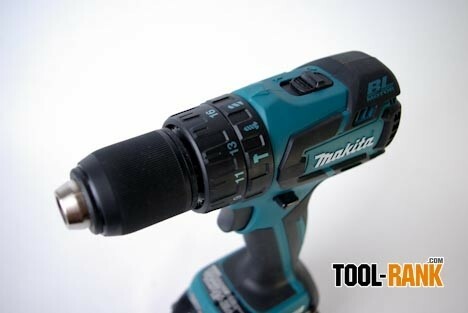 What was surprising here is that the brushed Bosch HDH181 beat out the Makita LXPH05, 4.5-seconds to 5.5-seconds. I took drilling times from the start of the test and also around the 50th hole drilled and averaged them together to come up with my results. 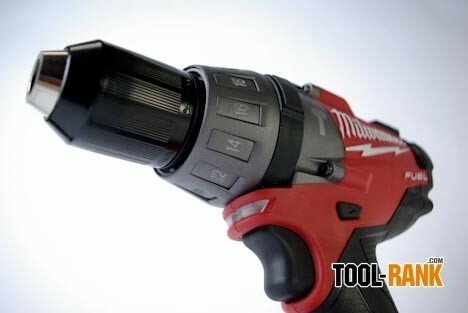 The speed and power of the Milwaukee 2604-22 was a very noticeable difference. 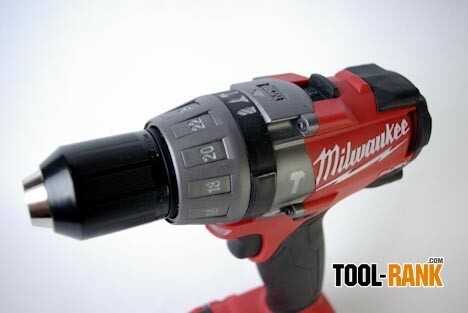 Again the Brushless Milwaukee 2604-22 came out on top as the winner. 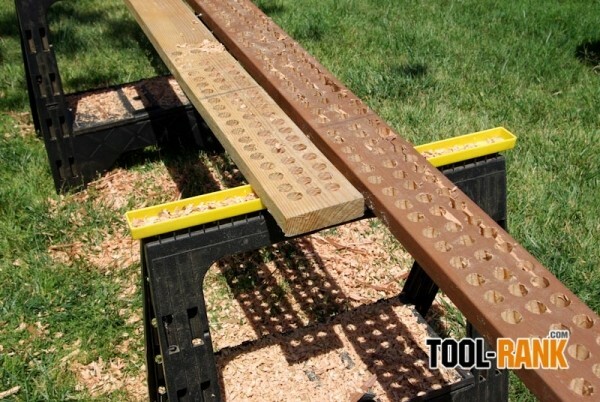 Not only did it drill holes faster, but it also showed that it wasn't sacrificing speed for longevity. 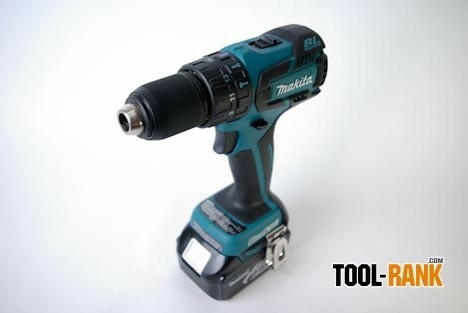 The surprise here is that the Brushed HDH181 Bosch drill was pretty even with the newer Brushless Makita LXPH05. This tells us that a brushless tool is not automatically better just because it uses newer technology, how it is implemented also plays a big factor. 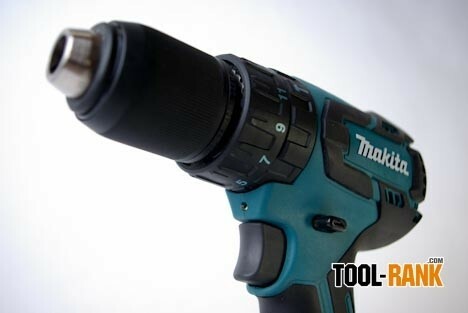 The Makita LXPH05 Brushless Hammer Drill is clearly the smallest of the cordless drills, but its small size offers negatives that go along with the positives. 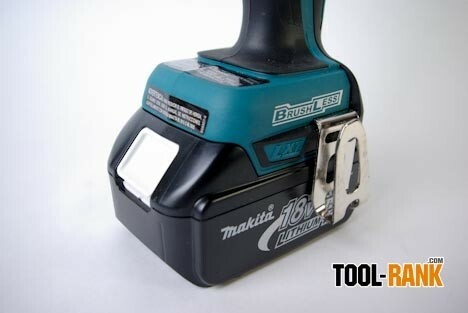 It appears that Makita chose to use brushless technology to make a smaller tool rather than a more powerful tool. This is neither a good or bad thing, but a choice that they have made. 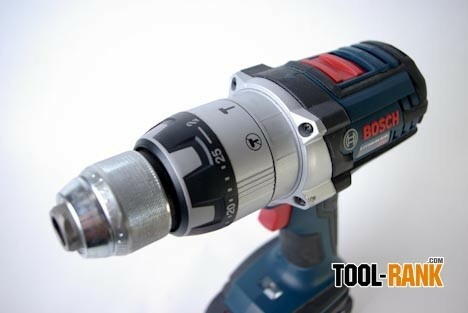 It matched pretty evenly with the Bosch HDH181 and did so in a smaller, lighter package. 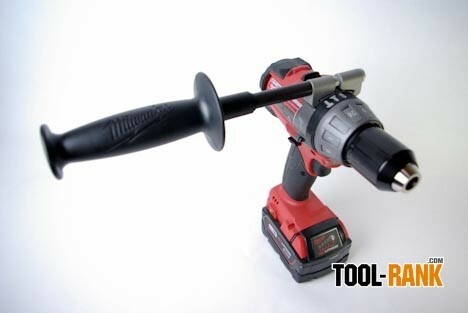 The smallness of the tool also contributes to its comfort. In my opinion it is the most comfortable of the three, and much of that has to do with weight. The overall grip area feels comfortable to me, and a more comfortable trigger also led to this choice. One worry I have is that the lightness of the tool will lead to durability issues in the future. Milwaukee's 2604-22 Brushless Hammer Drill packs a lot of power in a tool that is a little smaller than Bosch's brushed drill. The most noticeable size difference is in the diameter of the motor housing. 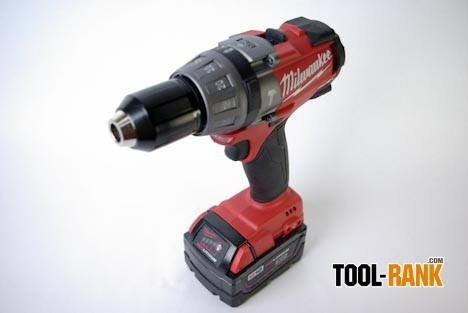 If power and speed is what you are after, the Milwaukee 2604-22 is the tool for you. 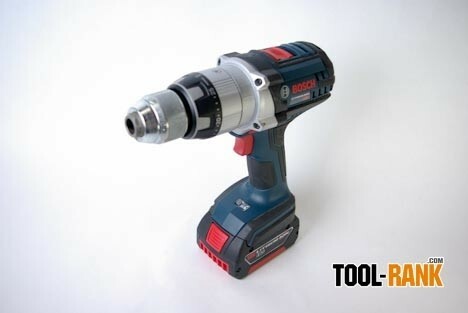 The 2604-22 came in second for comfort even though it is the heaviest of the three tools. I guess all that speed and power adds a bit of weight to the tool. The grip area of the 2604 was also very comfortable, but it lost due to weight and the trigger. My finger felt like it was always on the edge of slipping off, though it never did. 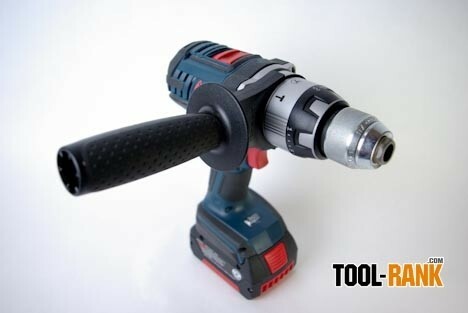 One of the real nice features of the drill was the inclusion of a side handle for high torque applications. A side handle might not always be needed, but I used it during my testing and the difference of having the option vs not have the option is very noticeable. The side handle clamps onto the tool with a dovetail like clamp in order to maintain the smallness of the tool. Near the battery there is an area that looks to accommodate a belt hook, but no hook was included. I feel that belt hooks should always be included. 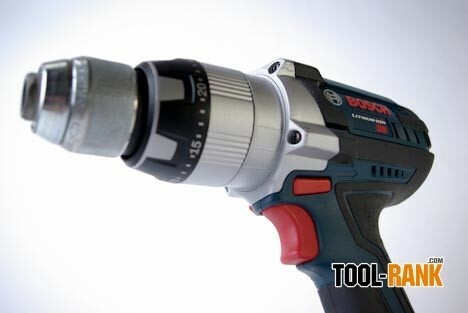 Read about the Bosch HDH181 Hammer Drill in my full review here. All three drill kits included 3.0 lithium-ion batteries and chargers. 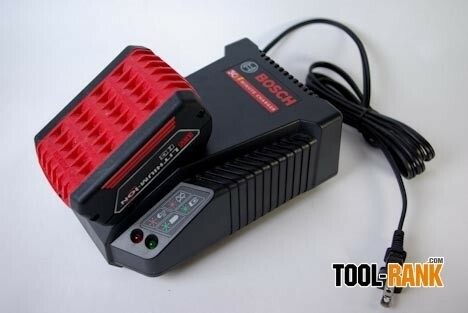 Bosch and Milwaukee also offer kits with lower ah batteries. 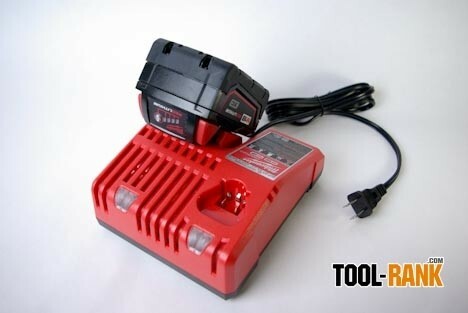 The Milwaukee charger also has the bonus of being able to charge a 12v Milwaukee battery, but the two different batteries cannot be charged at the same time. 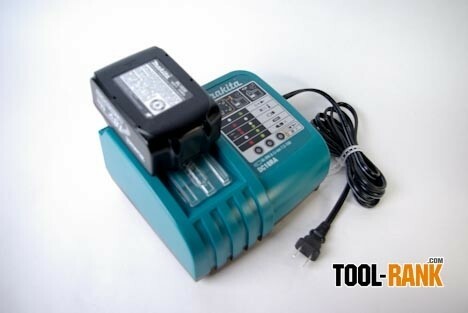 Wow what a difference in charging times, the Makita charger is about twice as fast. 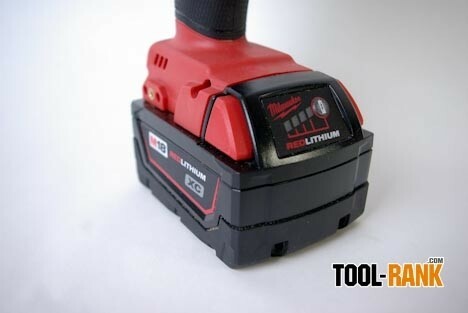 Milwaukee uses their RedLink Plus technology which allows the battery to communicate with both the tool and the charger to make sure you get the best out of your battery use; this is what helps get the 2604-22 its longer run time, but I also suspect this is why it takes an hour to charge the battery. Makita's charger has a loud fan that can be annoying if you are working right next to it, but it charges in about half the time as Milwaukee, the fan noise is not really an issue for jobsite use. Another great thing about the Makita charger is that it has a few classical tunes built in that be selected to let you know when your charge is complete. You and your co-workers can each choose a different tune, and you can tell from afar whos battery has finished charging. The Milwaukee 2604-22 Brushless Hammer Drill and the Makita LXPH05 Brushless Hammer Drill could not be two more different brushless tools. 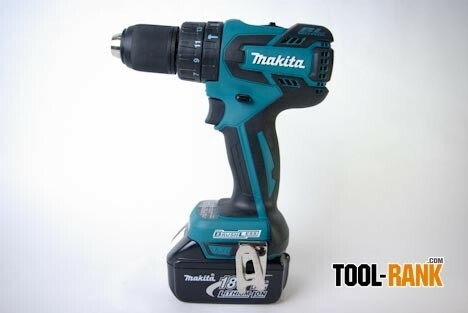 If you want power, the Milwaukee 2604-22 is the clear choice, but if you want a lightweight hammer drill you might choose the Makita LXPH05. 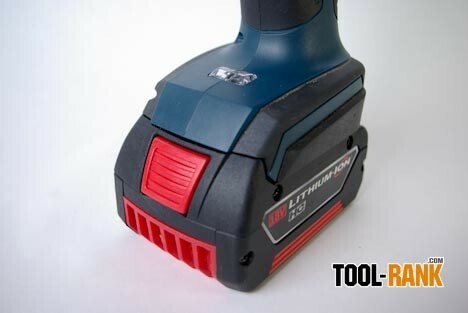 Both tools retail for around $299, but I feel the Milwaukee 2604-22 is a better deal for the price. 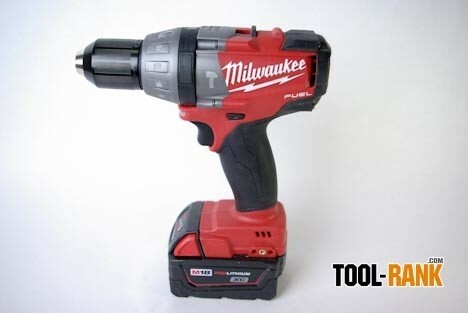 Both brushless drills provided by Milwaukee.